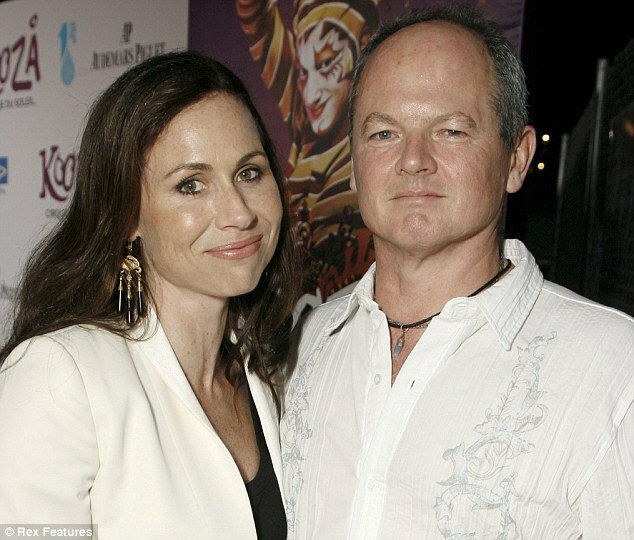 The father of Minnie Driver’s 3-year-old son Henry has been identified as Timothy J Lea, 52, co-producer of The Riches, as well as hit shows CSI New York and Law and Order. Speaking to the Observer this week to promote her film Hunky Dory, a low-budget British movie, Minnie Driver left several clues to his identity, claiming he was a writer on The Riches, the American TV series in which she co-starred with comedian Eddie Izzard. Minnie Driver, 42, dated Timothy J Lea for a short time before they split up. On Henry’s publicly-available birth certificate, the mother’s name is registered as Amelia Minnie Driver, her full name, and the father as Timothy Jonathan Lea, born in Dunbartonshire, Scotland. Timothy J Lea was brought up in Australia and moved to America where he graduated from high school in Stamford, Connecticut. Despite splitting up with Henry’s father before he was born, Minnie Driver said she had coped well with being a single working mother: “I had good friends around me, so it was sort of hilarious. Minnie Driver, who has dated Matt Damon and was engaged to Barbra Streisand’s stepson Josh Brolin, also spoke of her own unconventional upbringing as one of two children born out of an affair. The actress’ mother Gaynor Churchward, a former couture model and designer, was mistress to her father Ron Driver, a self-made millionaire who had a wife and daughter who knew nothing of his other family.